This is of course based on the Amanda Brown novel and the 2001 film of the same name. It began previews at Broadway's Palace Theater April 3. Laura Bell Bundy (of Hairspray fame), stars in the production. If you happen to be in the East Coast anytime soon, the show officially opens April 29, 2007. 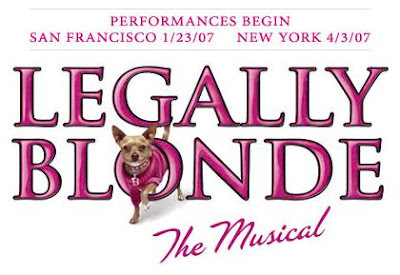 For more information visit www.legallyblondethemusical.com. i will find a way!!! ooohh! this is soooo cool! i love elle and her ditsy antics! i hope i get to catch it too. 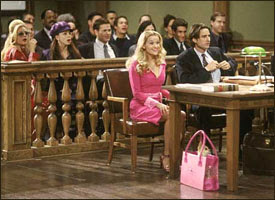 oh, by the way... for me it wasn't elle who made me try law school... it was ally mcbeal and her short skirts! hahaha! Hahaha! Omg Cons! That was for our generation! Heeheehee!